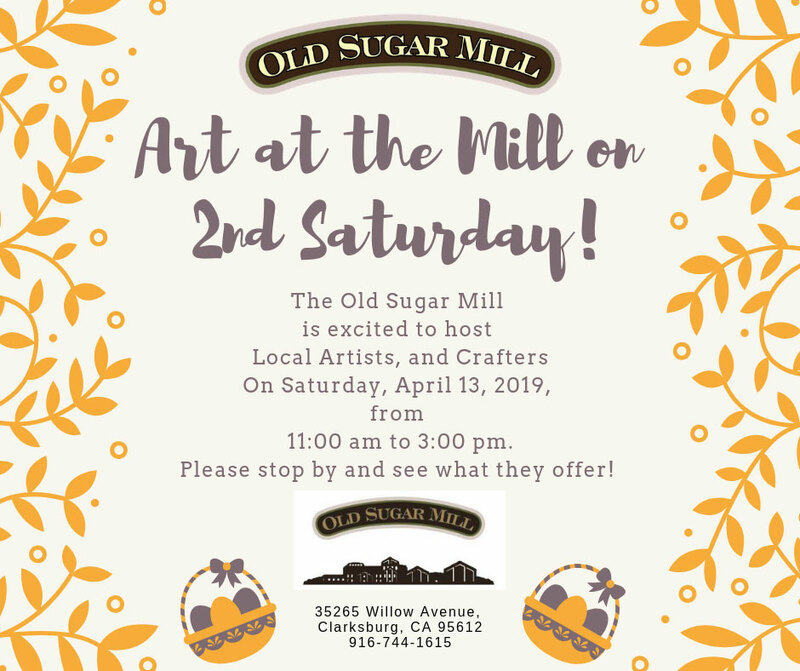 The Old Sugar Mill is excited to host Local Artists, and Grafters On Saturday, April 13, 2019, from 11:00 am to 3:00 pm. Please stop by and see what they offer! Allow us to be your partners in organizing the most beautiful day of your life. We can custom tailor our venue to your needs, wants and desires. Explore each of our fifteen wineries and taste award winning wines in our historic building. Follow these directions to make the best of your visit. Originally built in 1934 as an operating beet sugar refinery, the Old Sugar Mill now hosts fifteen unique wineries offering varietals from all over Northern California. Zinfandel, Cabernet Sauvignon, Barbera, Tempranillo, Chardonnay, Chenin Blanc and Sangiovese are just a few of the featured wines. Located in the heart of the Clarksburg AVA, and just 15 minutes from downtown Sacramento, the Old Sugar Mill is the premier destination for enjoying world class wines with friends and family. Complete with picnic grounds that are dog and family friendly, the Old Sugar Mill is a perfect venue for your next wine trip. © Old Sugar Mill 2019. All rights reserved. Designed by Fabulous Rice Design.